The following is a personality profile of Italo Calvino based on his work. Italo Calvino is shrewd and skeptical. He is independent, he has a strong desire to have time to himself. He is laid-back as well: he appreciates a relaxed pace in life. 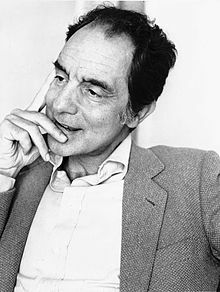 But, Italo Calvino is also unconcerned with art: he is less concerned with artistic or creative activities than most people who participated in our surveys. I say that my opinion is suspect. This was my first reading of Calvino and I plan to read more. Beautiful , timeless book written by an amazing man.